The story behind "Lovely hindu ladies in Pashupatinath, Kathmandu"
From the dark skies of Russia to the warmth of Nepal! 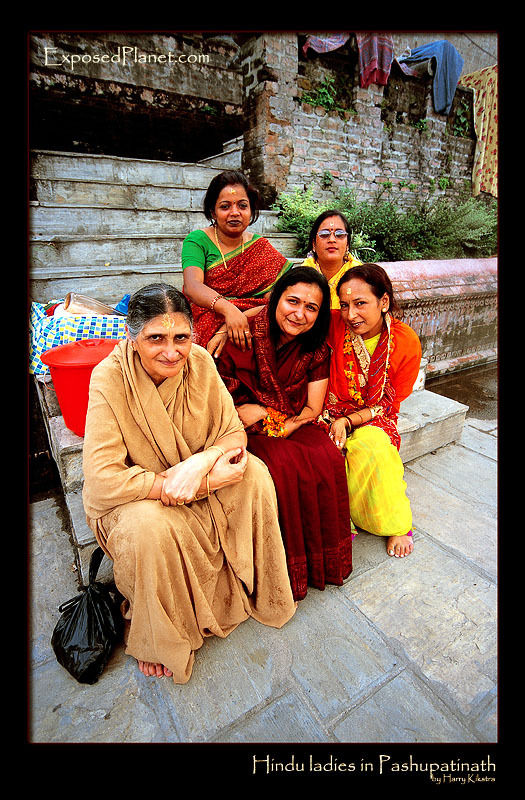 I was going through some slides for my Everest book and encountered these lovely ladies, whom I met in the Pashupatinath complex in Kathmandu. I had wandered off the main tourist route and ended up in this area, where the ladies at first looked at me surprised, but after a short while they enjoyed this crazy tourist being there with them.. Shot with Canon Eos 3 on provia 100 slide film, likely 15-30mm Sigma, scanned later.